Earlier I wrote a blog post about connecting my TFA Nexus Pro to a QNAP or Synology NAS system in this article. 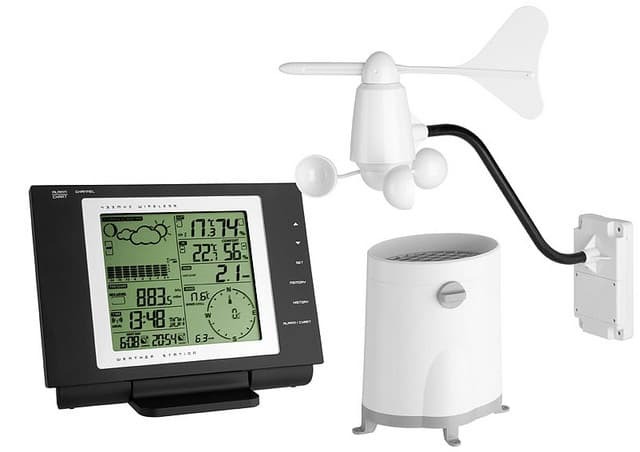 In that article I explain how you can install a tool that works for most weather station based on the Hideki te923 chip like the TFA Nexus Pro, Mebus TE923, Irox pro, Honeywell TE923, MeteoScan Pro 923, Cresta 923 and perhaps others. Now one of the neat things to do is of course actually read data from your weatherstation and put it into a MySQL database. But you can also put them into a RRD archive with rrdtool so you can easily create graphs from them with for instance cactii. If you have not done so before please install MySQL and PHP on your NAS server. Next create the following database. You can do this from within the MySQL console or for instance with phpMyAdmin. Make sure you change DBUSER and DBPASSWORD to match your login credentials for MySQL! To run this script every 30 minutes. Please note that this is just an example of how you can save data from your weather station to a MySQL database. It is not some form of a WEB interface that makes pretty graphs and lets you see historical data. But one could create such a web gui with this data inserted in the MySQL database. Hi, great guide. But how to plot collected data on website? How to get this data from mysql into web page? I did not have time to build a web page around the MySQL data just yet. But I decided to put this page already up as there are probably gifted programmers who can build their own page but perhaps do not know how to retrieve the data from their weatherstation. This week I’ve slowly started writing some scripts that graph stuff that is in the MySQL database. So far only graph of latest 24 hours of temperature / windchill and last 7 days of temperature / windchill exist.